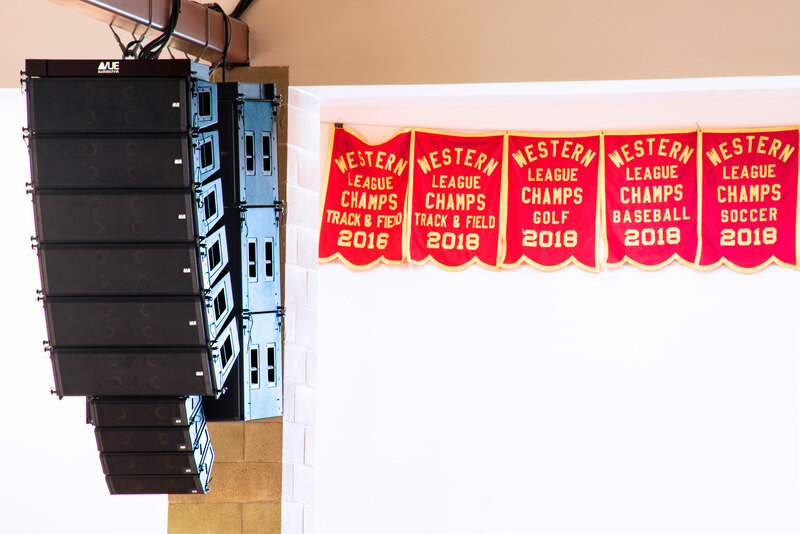 March 19th, 2019 – San Diego, Ca. 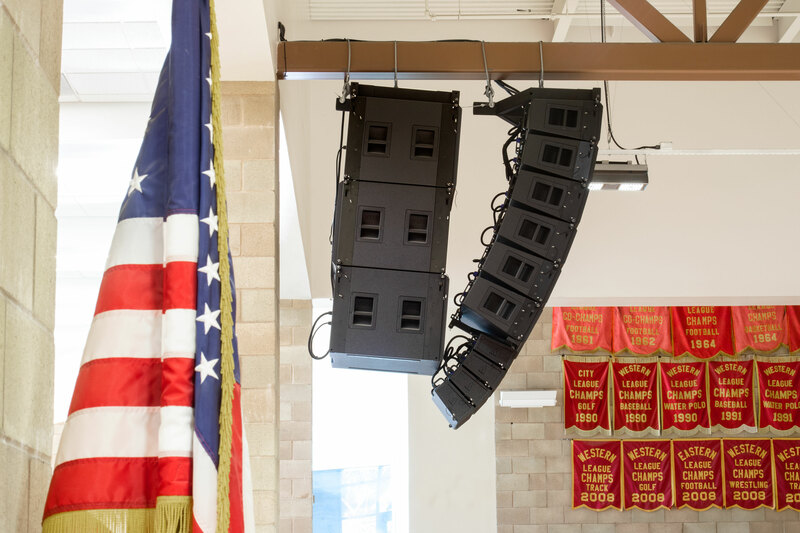 Cathedral Catholic High School in San Diego recently received an extensive audio system upgrade performed by Pine Valley, California-based Essex Sound. The 14,000 sq. 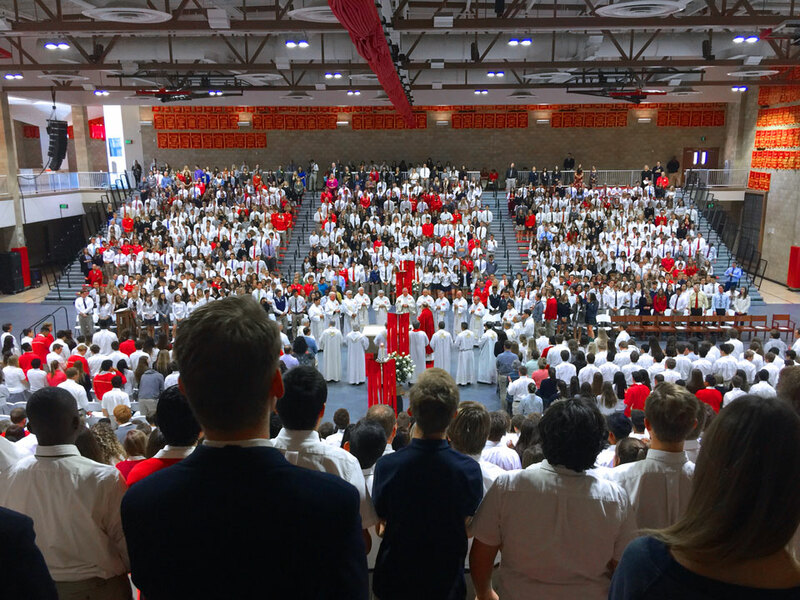 ft. gymnasium and multi-purpose room features a 26-foot ceiling, brick walls and bleacher seating for up to 3500. 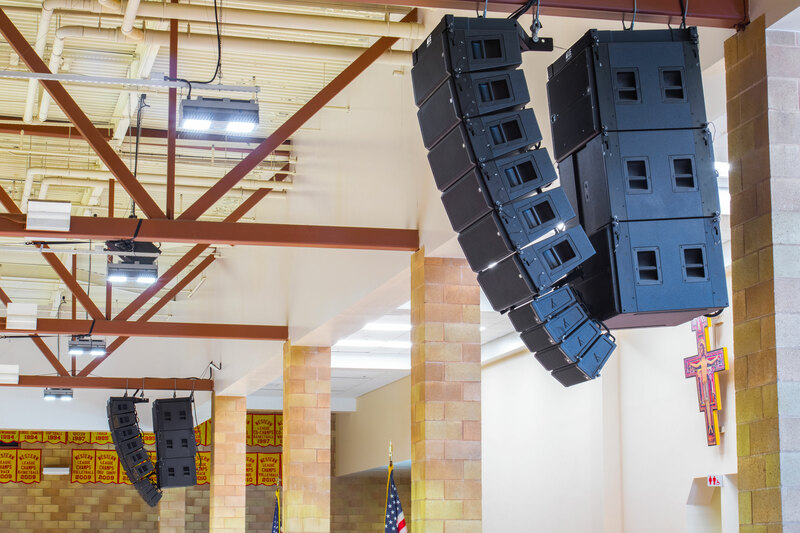 Looking to improve speech intelligibility for weekly Mass while also providing ample audio horsepower for game night exuberance Essex tapped into VUE’s unique ACM technology and specified a hybrid line array configuration the combines both al-4 and al-8 acoustic elements.